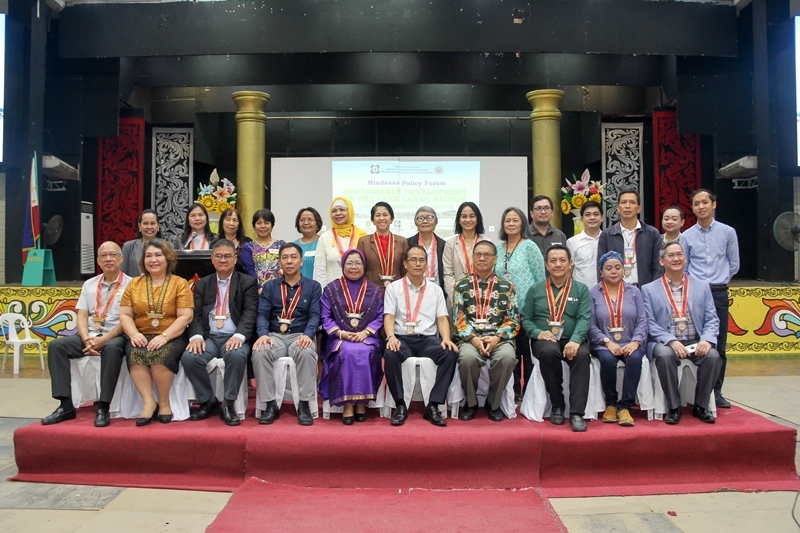 MSU system heads, NRCP secretariat, speakers, participants of the NRCP Mindanao Policy Forum on August 28, 2018 at MSU-IIT gymnasium. There has never been any comprehensive research program conducted on Lake Lanao, touted as the 2nd largest lake in the country, until the DOST's National Research Council of the Philippines (NRCP) boldly took the initiative to break grounds, to set the foundations for the country's first comprehensive research program for Lake Lanao. It was in August 2015 when six (6) projects were funded for a comprehensive study of Lake Lanao - from the physical, chemical, biological, socioeconomic and political impacts of Lanao Lake. The projects, conducted by NRCP members from MSU- Iligan Institute of Technology, and MSU-Marawi, paved the way for scientific investigations necessary to save the lake from complete degradation due to unsustainable human practices and activities. The results of the program are expected to provide baseline data for future researches as well as generate recommendations for the holistic and research-based conservation of the lake, which supplies about 70 percent of power requirements of Mindanao. 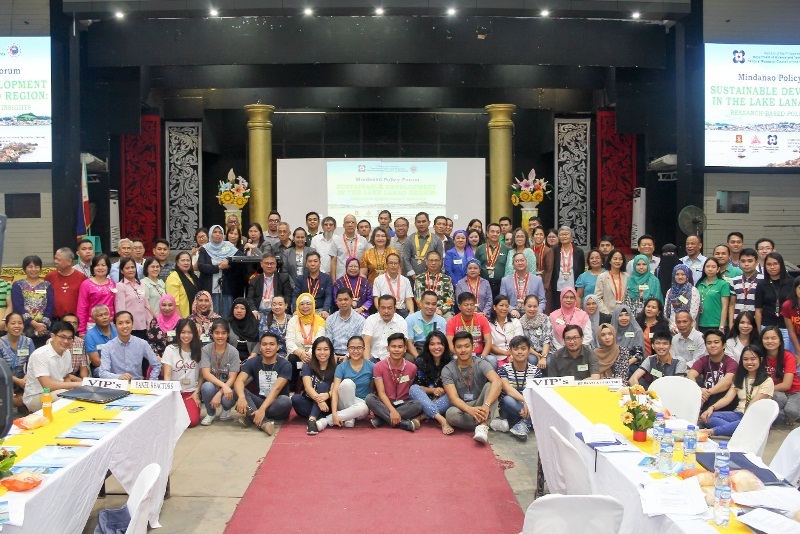 Gaining research-based data from the six (6) completed SAKLAW (Saklolo sa Lawa) projects, a priority of its National Integrated Basic Research Agenda (NIBRA), NRCP stepped up its efforts to stimulate the protection and sustainability of Lake Lanao through the Mindanao Policy Forum held on August 28, 2018 at Mindanao State University-Iligan Institute of Technology Gymnasium. The forum highlights were presented by NRCP researchers Dr Nimfa L. Bracamonte, Dr Carmelita G. Hansel, Dr Sherwin S. Nacua, Dr. Fema M. Abamo, Dr Beverly B. Amparado, and Dr. Monera Salic Hairulla. The forum served as an avenue for all key players including national government agencies, private institutions, and academe with the resolve to contribute and share in the goal of sustaining the development and protection of Lake Lanao, such as shepherding legislation for a Lake Lanao development body and other relevant local ordinances, and for mainstreaming measures to address the health concerns of the communities around the lake, as well as to put in place abatement. In the Welcome Remarks of Dr. Habib W. Macaayong, President of MSU System delivered by Dr. Alma Berowa, MSU-Marawi Campus Vice President of Academic Affairs, he expressed appreciation to NRCP for taking a bold step towards the restoration and preservation of Lake Lanao as he emphasized that Lake Lanao plays a big role in the development in Mindanao. In the speech of DOST Secretary Fortunato T. de la Peña, read by DOST Regional Office No. X Director Alfonso P. Alamban, he said that 20% of the total DOST budget is being allocated to Mindanao projects that include studies on rivers and lakes, those that would give back the proper ecology for fishes and other life in the lakes and rivers, including those that would preserve the culture of people living with the areas like the Maranaw.